This sticker depicts a woman with a raised clenched fist emerging through the center of a Venus symbol. Both images are in rainbow colors set against a black background. The Confederación General Del Trabajo or General Confederation Of Labor is the largest anarchist trade union in the world. While the CGT pushes for better working rights for all, there is a heavy emphasis on women and fair labor standards. 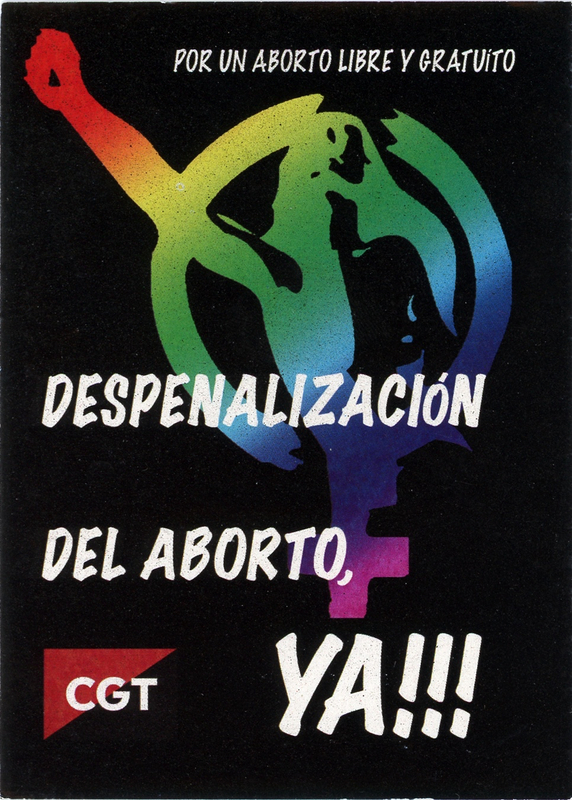 As this sticker demonstrates, the CGT works with many groups and organizations to help raise awareness about issues such as inequalty between men and women or the right for abortion.